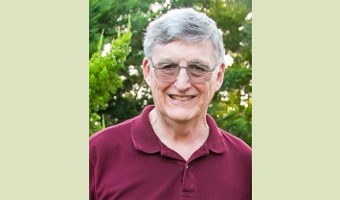 Dr. Paul R. Deuster, former Ohio University Economics professor, passed away on Nov. 20, according to his obituary. Paul’s journey began in Oklahoma where he was born and in Racine where he was raised. He was on the debate team at his high school, St. Catherine, then graduated with his BA in Chemistry and Mathematics from Dominican College (1965). 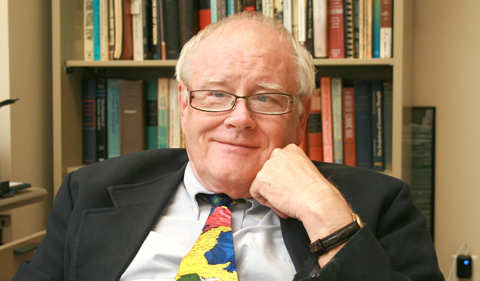 He earned both his MA in Economics (1968) and his PhD (1971) from the University of Wisconsin – Madison. Paul received a Ford Fellowship that took him on his first trip to Indonesia to conduct research for his dissertation “The Rural Consequences of Indonesian Inflation: Case Study of the Yogyakarta Region.” This trip not only launched his career as a development economist, he also met his wife. They were married in 1970 in Madison, WI. That same year, Paul joined the faculty at Ohio University, which was one of three federally funded Language and Area Centers for Southeast Asia in the U.S. At Ohio University, Paul taught Principles, Intermediate Macro and Microeconomics, Economic Development, and International Trade; he developed a course on the Economics of South East Asia and served a term as Southeast Asian Studies Program Director. Paul left Ohio University to join USAID in 1984. During his more than 20 years with USAID, Paul headed economic growth teams or offices in the Philippines, Egypt, Indonesia and Washington. He loved his work and poured both his intellect and heart into it. In his development career, Paul also worked with the World Bank, UNDP, The Asia Foundation and other consulting firms. He spent 30 years overseas. Read more of his obituary.